Although Captain Cook and his crew are often cited as the beginning of the Traditional tattoo trend, tattoo historian Anna Felicity Friedman notes that explorer Charles Pierre Claret de Fleurieu spoke about tattoos around Europe much before Cook’s voyage. Part of the reason why American Traditional tattoos are so popular is that Americans have been involved in almost every single war since 1775, and both soldiers and sailors who had tattoos often traveled when participating in these wars. 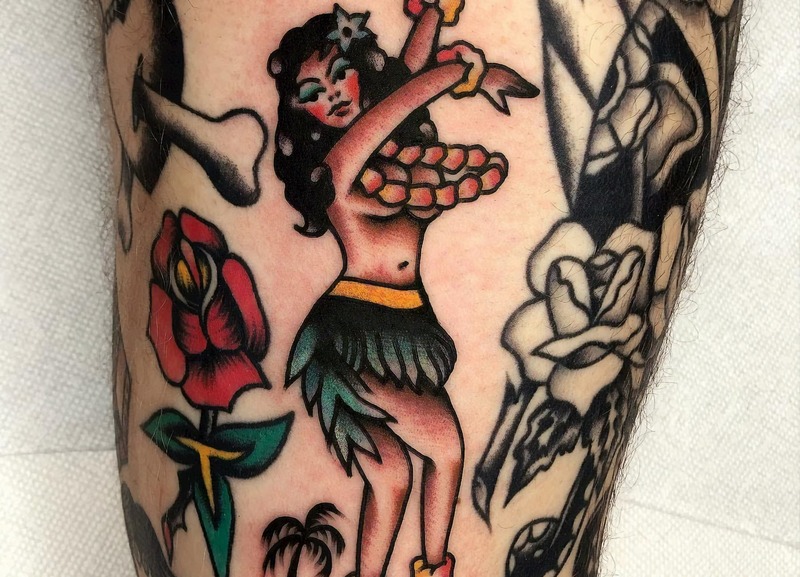 Sailor Jerry, Mildred Hull, Don Ed Hardy, Sailor Jerry, Bert Grimm, Lyle Tuttle, and more, are some of the people who made American Traditional famous. 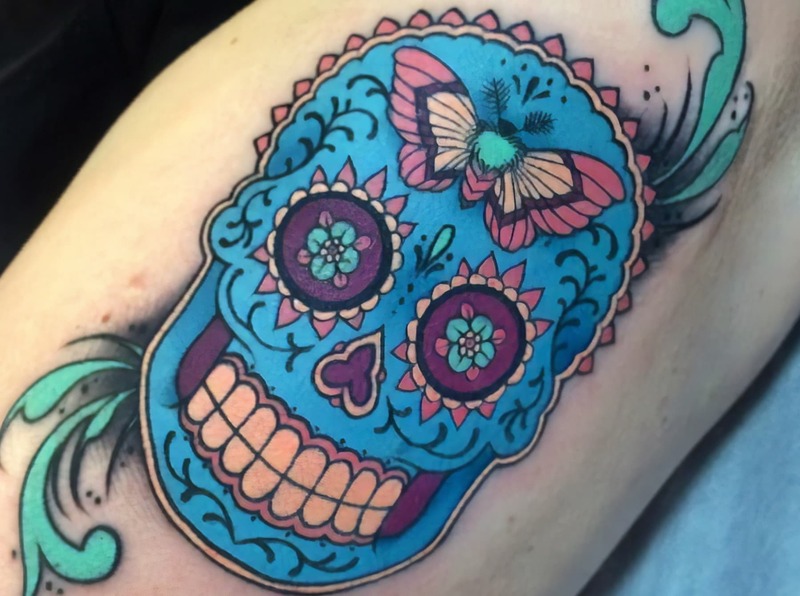 Valerie Vargas, Stewart Robson, Shaun Topper, Beau Brady, Katie Gray, Alex Zampirri, and so many more continue on the legacy of American traditional tattooing. Bold black lines that etch out the image of a wing spreading eagle, a rose encrusted anchor, or ship at sea...these are only some images that may come to mind when Traditional tattooing comes to mind. Part art movement, part social phenomena, the United States has created a style of ink that is all its own. 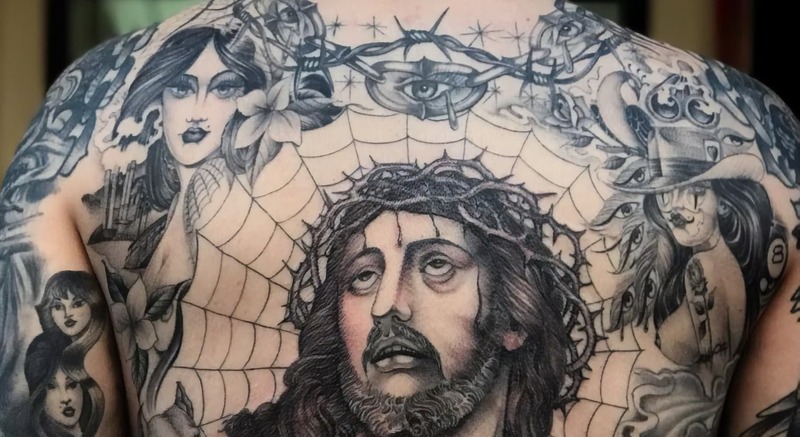 Truly an important facet of American culture, we expound upon the history, designs and artists of this famed tattoo aesthetic. Although most of the tattoos on ancient mummies are simple abstract lines, dots, and shapes, the Princess of Ukok, a 2,500 year old mummy, hosts an incredible collection of ink that is much similar to contemporary tattoos. This particular mummy was found in southern SIberia and is a great reminder of the cross cultural aspects of tattooing. It is safe to say that every continent, at one point, has had its practice of tattooing that went on to influence the art form in numerous ways. To be sure, tribes all over the globe have practiced tattooing, and although Polynesian tattoos are said to have been the ultimate roots of Traditional tattooing, there are other origins to be considered. Traditional tattooing, as the case with all other styles of tattooing, has a foundation in the history of many cultures, and many countries. But, perhaps, there are a few reasons why Traditional Americana flourished so much. It’s true that sailors and soldiers were some of the main aficionados; their consistent travel to new lands guaranteed cross cultural experience with new styles and ideas. America has been involved in major wars, most notably since the American Revolution in 1775. 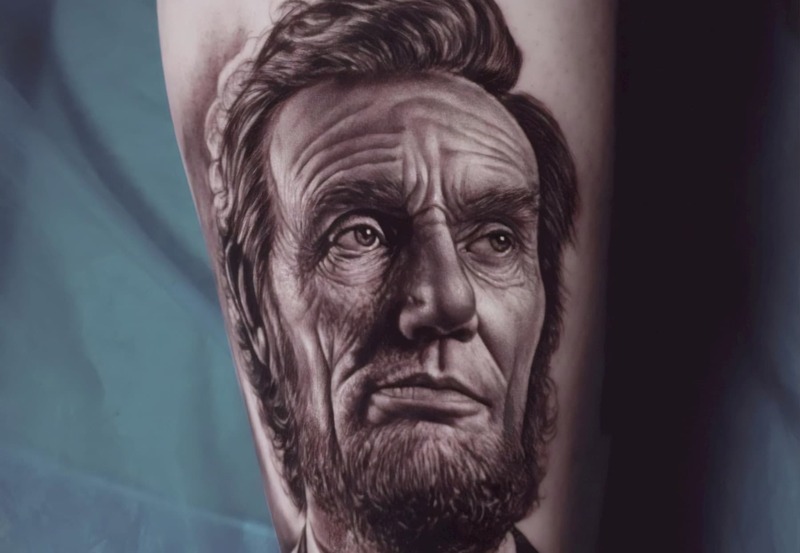 Martin Hildebrandt, said to have opened the first New York City tattoo parlour in 1846, also stated that he had tattooed soldiers of both sides in the American Civil War. 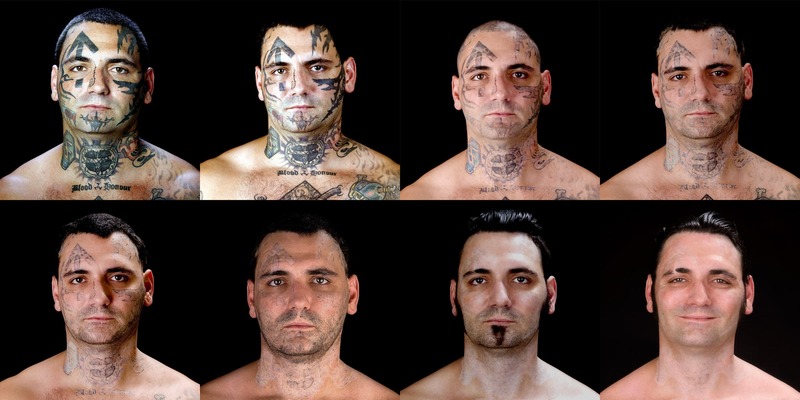 Part of the tradition of service men getting tattoos was not only to carry symbols of protection and reminders of their loved one, but to also mark their body for identification if their lives were lost in war. The added support of modern Traditional tattooing, is the invention by Samuel O’Rielly, the electric tattoo machine, which helped revolutionize the industry in 1891. Sam took Thomas Edison’s electric pen, and modified it to create the forerunner of the machines now used the world over. By 1905, a man named Lew Alberts, known as Lew the Jew, was selling the first commercial tattoo flash sheets. With the invention of the tattooing machine, business had been growing for tattooists, and the demand for new designs and more ideas became imminent. This helped spread the iconography and specific style of Traditional tattooing across the states, and soon there was unified aesthetic of Traditional Americana. It is also worth mentioning that in the early 1880’s many “tattooed” performers working in conjunction with the traveling circus, such as Nora Hildebrandt, Captain George Costentenus, and John Rutherford. Many of these performers had tall tales about their personal histories, but it did bring tattoos to a new crowd quite literally. There are many people who aided in the preservation and popularization of Traditional tattooing, including Sailor Jerry, Mildred Hull, Don Ed Hardy, Sailor Jerry, Bert Grimm, Lyle Tuttle, Maud Wagner, Amund Dietzel, Jonathan Shaw, Huck Spaulding, “Shanghai” Kate Hellenbrand, and those persons listed above. Each within their own way, with their specific story and skills, helped shape the style, designs, and philosophies of American tattooing. It’s worthwhile to know that many of these artists are considered to belong to certain aspects of the tattooing movement within America. While tattooists such as Sailor Jerry and Bert Grimm are considered the “first wave” of Traditional tattooing helping to spread and hone Traditional design and techniques, there were those such as Don Ed Hardy, Jerry’s apprentice, and Lyle Tuttle who went on to define the societal acceptance of the art form. Lyle Tuttle is known for tattooing celebrities such as Janis Joplin and Henry Fonda. Don Ed Hardy later produced a line of clothing which is well-known in mainstream pop culture. 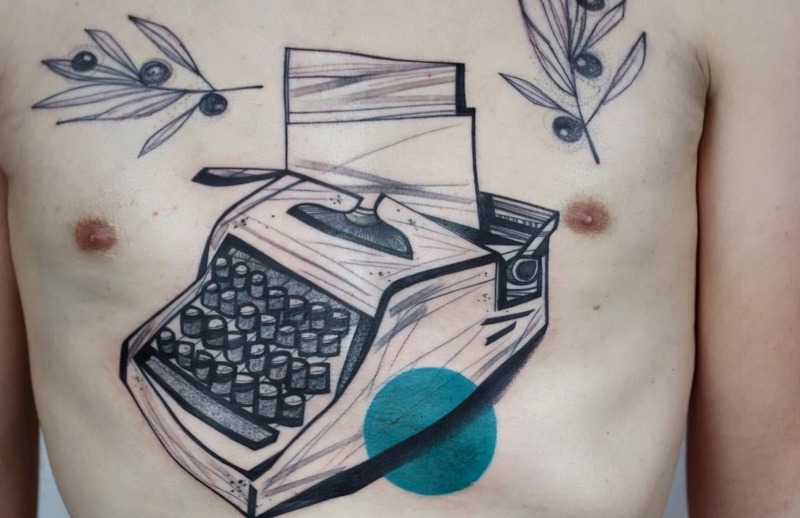 Again, many artists have helped make contemporary Traditional tattooing what it is today. Their ingenuity and fearlessness are all part of American culture that influenced this art movement. In 1933 the book ‘Tattoo: Secrets of a Strange Art’ by Albert Parry was published and helped capture the growing industry. 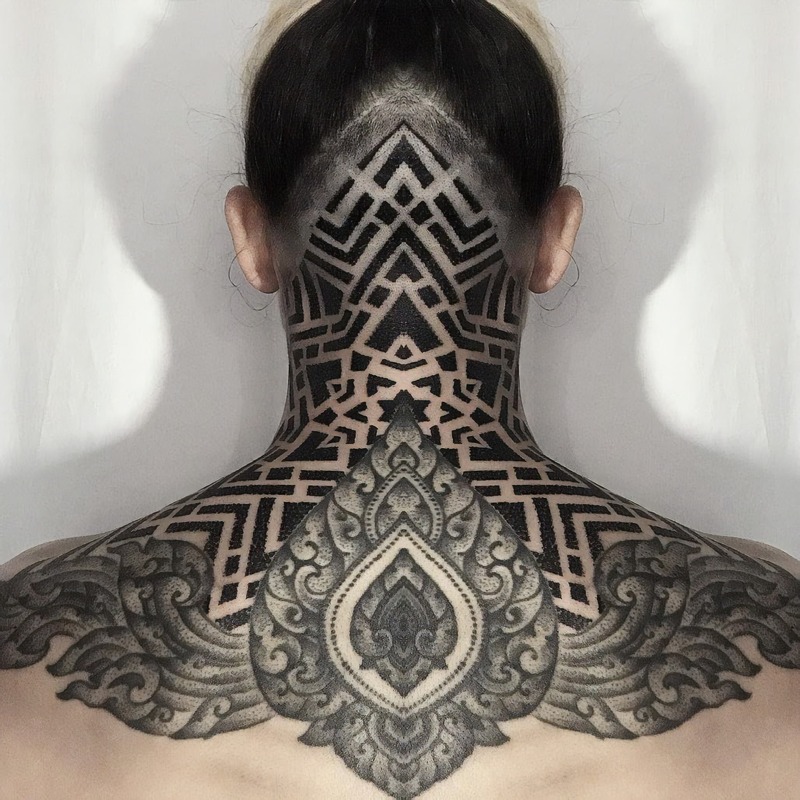 As the New York Historical Society states, “According to Albert Parry’s book….tattooists of the time were so inundated with requests that it was difficult for them to keep up with the demand for new designs. But the exchange of flash during the late 19th and early 20th centuries, which were largely distributed with other supplies through mail order catalogs, helped artists keep up with the growing marketplace.” These flash sheets preserved pieces that artists had been tattooing for decades: religious iconography, symbols of courage and strength, beautiful pin ups, and more. Animals, landscapes, Military insignia, and shapes like stars and hearts all show up within many of the Traditional tattoo design portfolio and each has a specific meaning attached to it. While swallows might mean the distance a sailor has traveled, it may also signify the idea of returning. This particular bird will always migrate back to its original home. Sharks, panthers, and snakes all have similar ideas based in strength and more, but it’s also a visual embodiment of the wearers personality. The dragon tattoo, first seen due to Sailor Jerry being the first Western tattooist to be in contact with Japanese tattooists, is not only a deep appreciation for Irezumi, but is also a nod to the power of the mythical beast. Another important icon of Traditional tattooing is the Rock of Ages, a cross made of stone within a woman clinging to its edifice, usually in the middle of crashing waves and an endless sea. 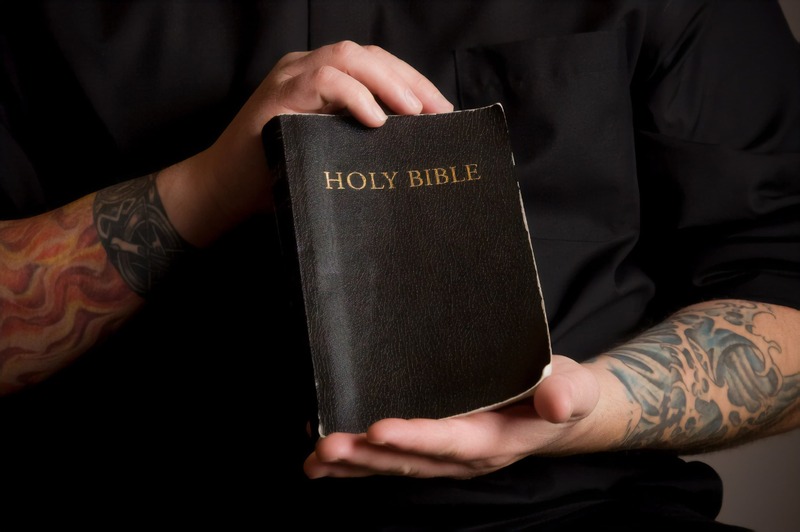 First seen in the 1860 paintings of Johannes Oertel, it is a religious image that many Americans, tattooists and clients included, resonated with. 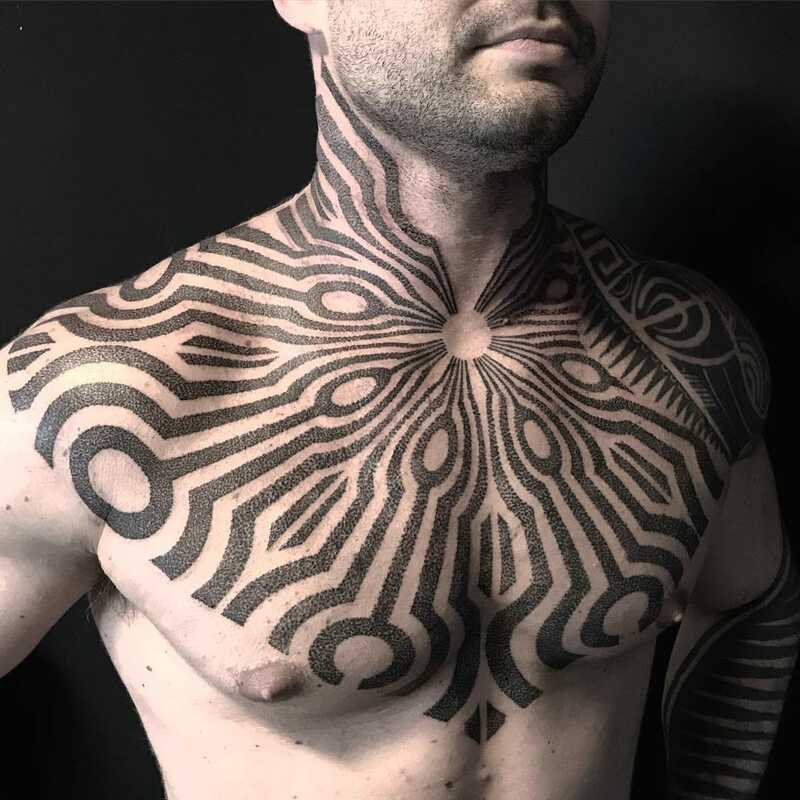 There are thousands of images that coincide with the Traditional tattooing style, each a symbol of something meaningful, that have been collected by studios, art books, and artists around the globe. As for the actual visual style of Traditional tattooing, the bold black lines and use of pigment all have rather rational uses. 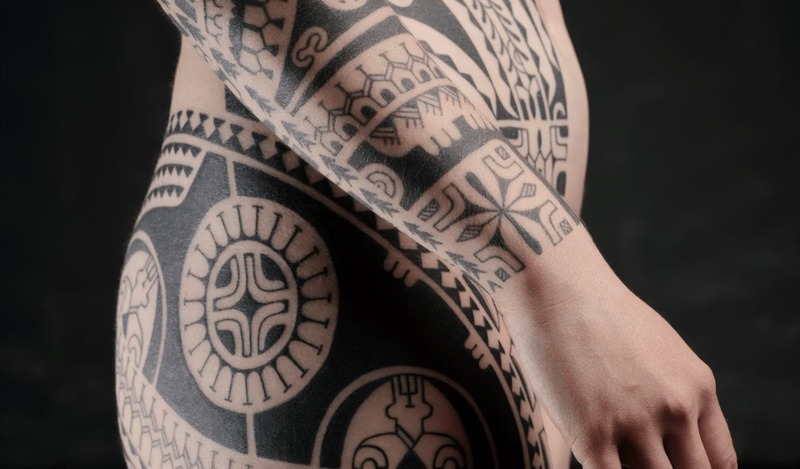 The illustrative look may have originated with European designs, but the bold black lines were perhaps a technique taken from the tried and true methods of tribal tattooists, whether belonging to Polynesian or Native American peoples. For centuries, carbon based ink has proven to age incredibly well, not only holding its shape for ages, but also in aiding the clarity of a design. 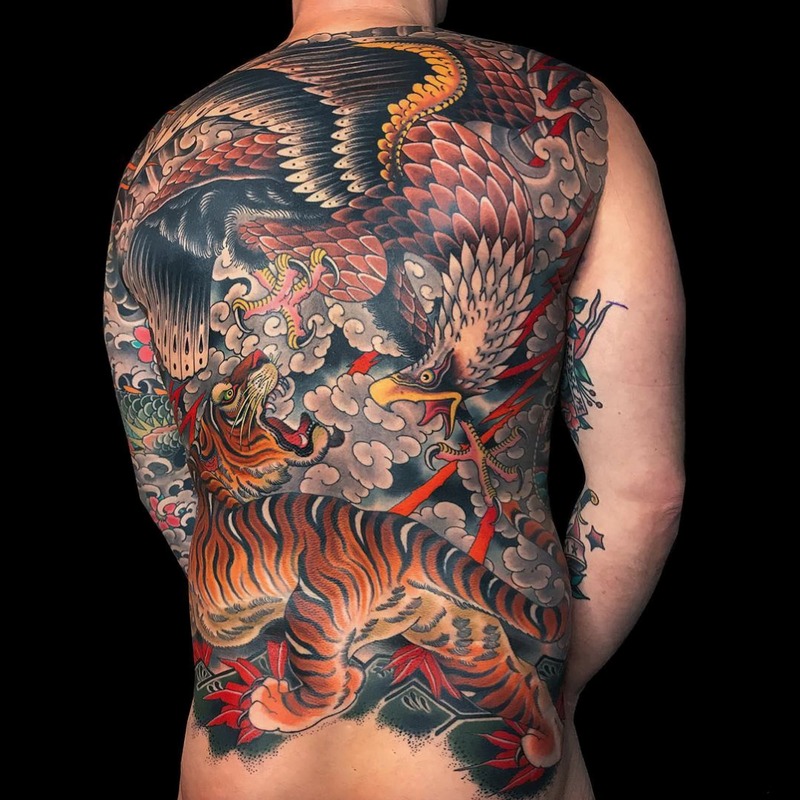 The vivid tones Traditional tattooists used were also tied, mainly, to what was available when pigments used for skin where not at their highest quality or technological advancement. The tattoo ink was confined to those particular colors due to their lack of fading, but also due to the availability of inks at that time. While Traditional tattooing has its own heavy roster of skilled artisans, there are definitely those who are trailblazers. Including those artists named above who helped lay the foundation of Trad, contemporary tattooers such as Valerie Vargas, Stewart Robson, Shaun Topper, Beau Brady, Katie Gray, Alex Zampirri, and so many more continue on the legacy of American traditional tattooing. While some are influenced by Japanese aesthetics, realism, black and grey, each applies their personal styles and interests to preserve Traditional Americana while also making it their own. It is also worth mentioning the museum of Daredevil Tattoo in New York City. The museum not only has tons of state specific historical objects, NYC was an epicenter for the trade in the beginning of Western tattooing, but it has tons of artwork, machines, and photos from old school tattooers centuries old. 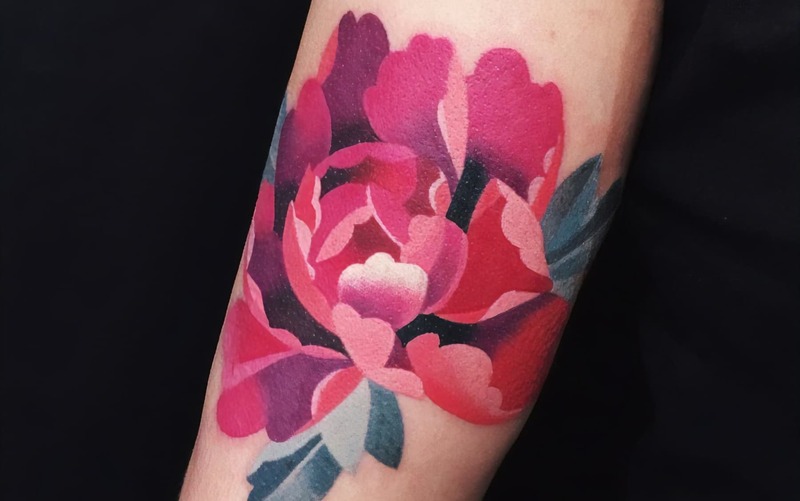 There are also many artists currently working there who work in the style of Traditional tattooing, including owner Michelle Myles who opened the shop with her partner in 1997 when tattooing was finally legalized in New York. In 2017, USAToday revealed statistics from the Pew Research Center that stated about 38% of people from ages 18 to 29 have at least one tattoo, and the industry is not seeing a slowing of numbers. 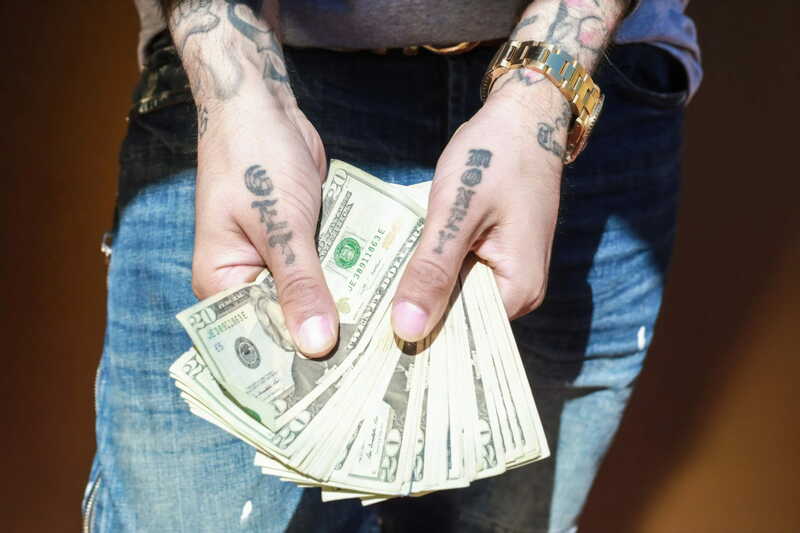 In an article published in the Wall Street Journal of August 2018, more statistics were shared, “Last year, the [tattoo] industry generated an estimated $1.6 billion in revenue, according to the market research firm IBISWorld.” Tattoos have clearly come to be widely accepted and practiced, and Traditional tattooing is a large part of that. 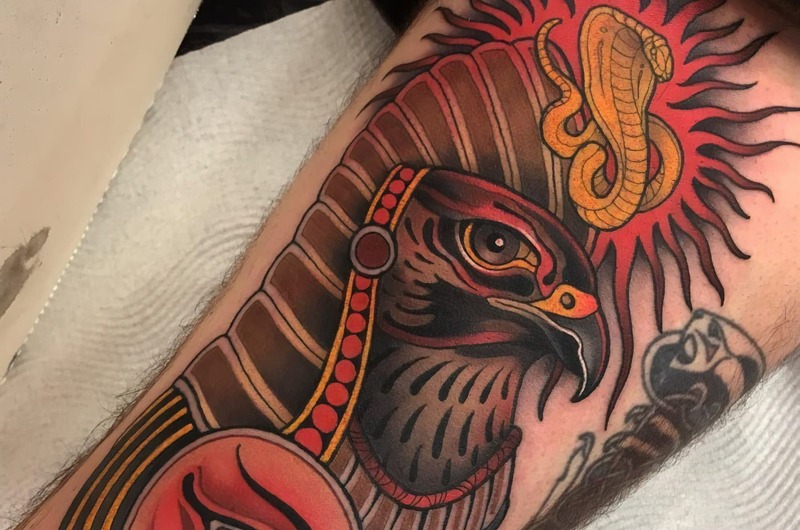 Aesthetically, and philosophically, Traditional Americana is a style, much like Irezumi and Tribal, that could be considered one of the foundations of contemporary tattooing. Like a trifecta, these particular styles have been tested with time, and still come out as inspiring and incredible as they were hundreds of years ago.